When I was a kid, I was literally told I would never find love because I was fat. Well dad, I found it; on Twitter. This is Jenn. Jenn taught me a lot about the body-positive movement. 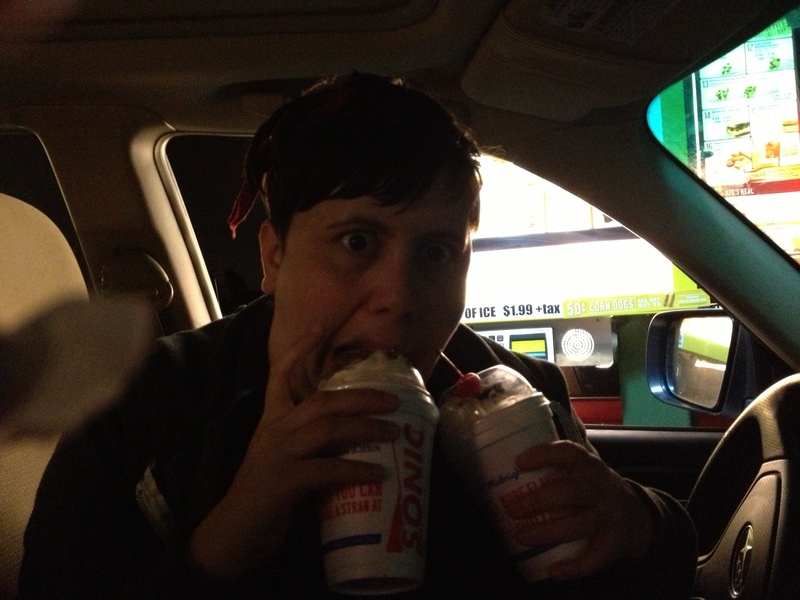 And went with me to get milkshakes before she rudely moved to Korea. 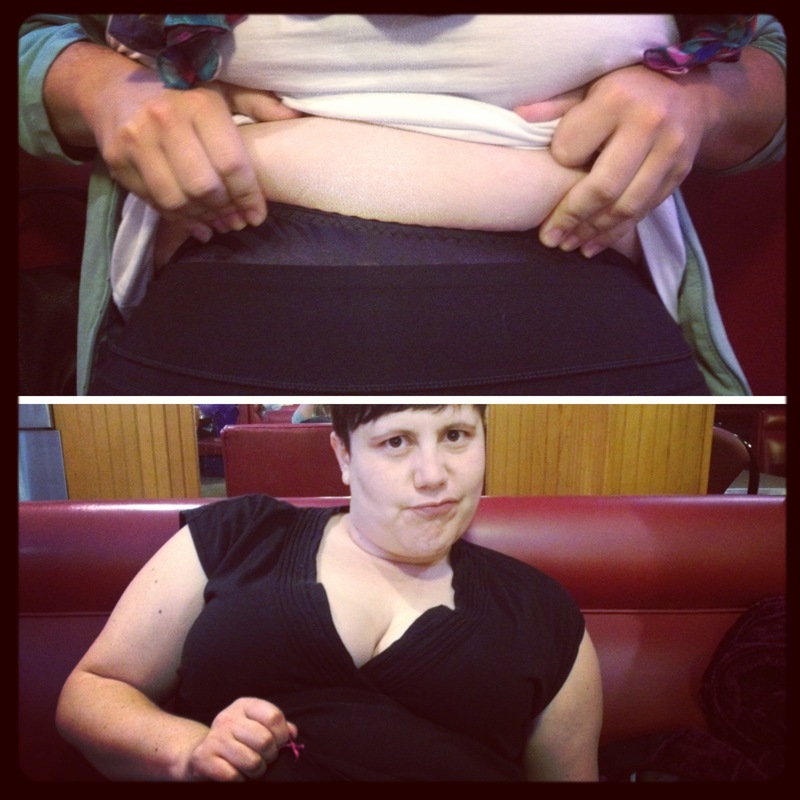 With Jenn showing off our post-cheesefries belly pride. Today, I’m especially loving what’s going on on the hashtag #NotYourGoodFatty, which started with this tweet. Fat people are constantly told they take up too much space, they’re worth less than thin people and that they’re something to be scorned, ridiculed and judged. This all under the premise of saving us from ourselves, from our unhealthy bodies that will kill us prematurely. I could sit here and tell you all about how thin doesn’t equal healthy and the health at every size (HAES) movement, but really, what’s it to you? Don’t I have the right to be unhealthy? Why is it that thin people deserve to eat ice cream but fat people have to justify it to society’s staring gaze. Thanks to these people, and so many others like them on and offline, I’ve been able to get to a point where I don’t eat milkshakes in shame, cover my body in public and hate my body needlessly. And I’ve been able to help others do the same. So thanks Twitter. 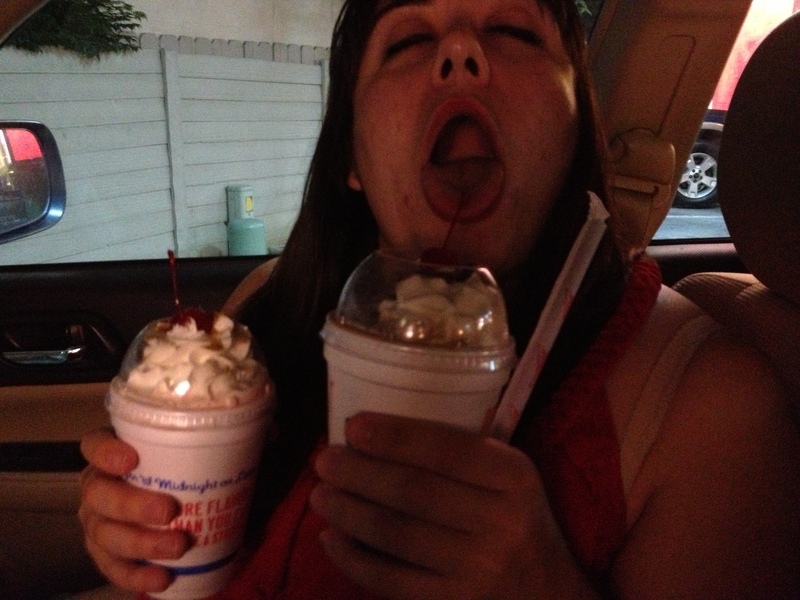 I owe you a milkshake. This entry was posted in Bloggers, Body Positivity, Featured, Politics, Stuff We Love and tagged bloggers, body image, body love, body positivity, fat, plus-size, self love, self-care, self-esteem, Twitter. Bookmark the permalink. If you’re here to have an actual conversation about health at every size, then I’d be happy to tell you all about it, but if you’re here to just attack the fatty – which it sadly feels like you are – then I’d prefer you do that somewhere else, or better yet nowhere at all.